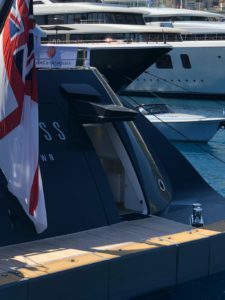 Today during the Yacht Show mr. Ruben Tienpont, Jan de Rover and Johan Troelstra are present to answer all your questions how Newthex products can contribute to a Superyacht Lifestyle. 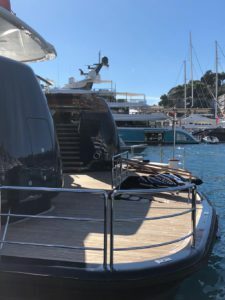 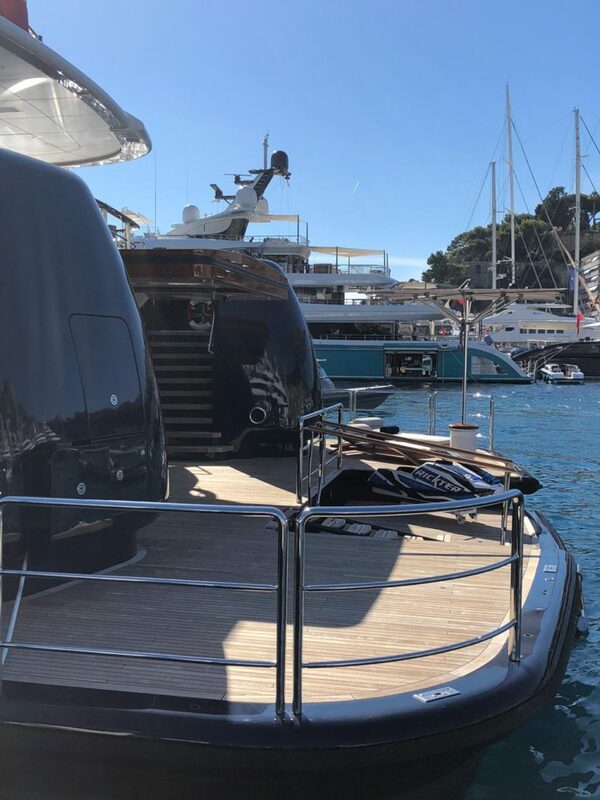 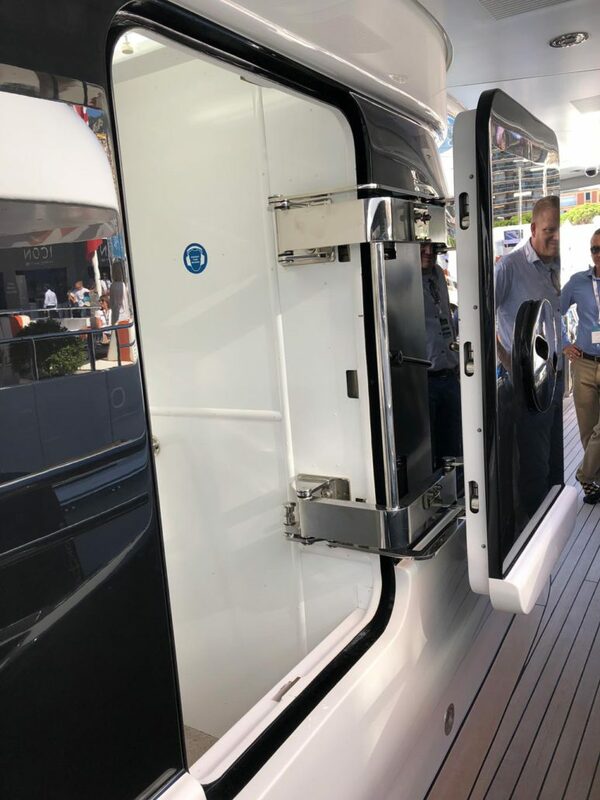 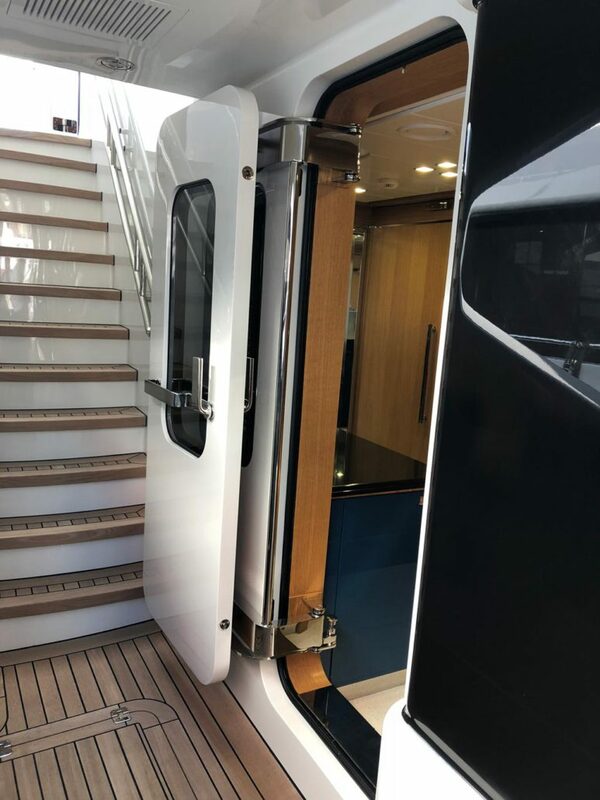 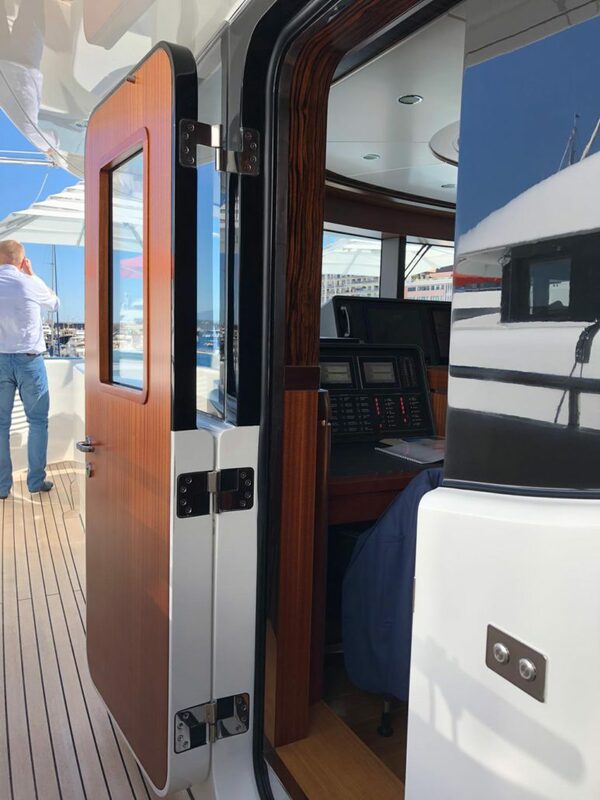 “It’s nice to see our products in place and shining on board a lot of yachts here at the Monaco Yacht Show.” says Managing Director Ruben Tienpont. 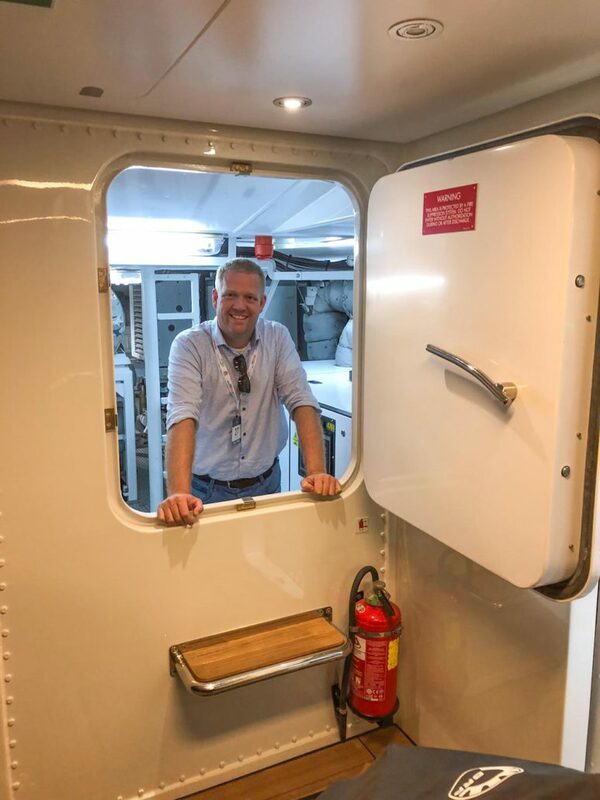 Johan Troelstra is pointing at two yachts [picture above] “In the front you can see our Transom door standing open at the stern of the 88.5-metre long superyacht ‘Barbara’ by Oceanco. 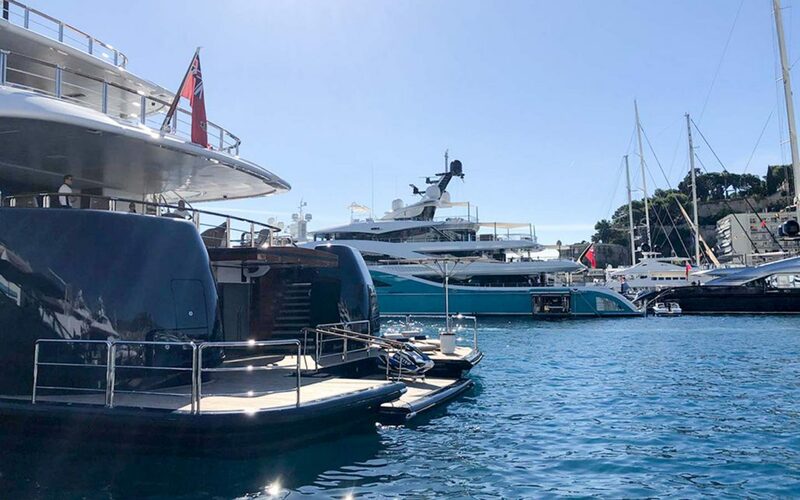 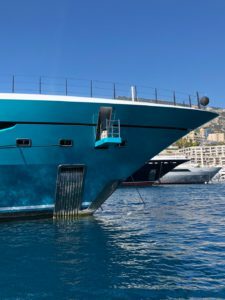 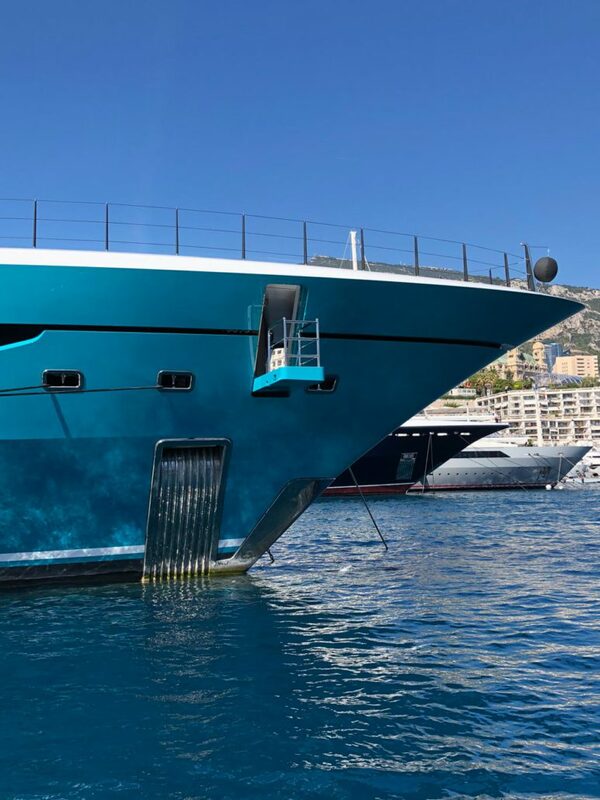 In the back you can spot the fresh delivered 77-metre superyacht ‘GO’ from Turquoise yachts which Newthex provided with a total of 7 custom shell doors, 2 MOB hatches and 1 special flush pop-up sliding hatch. 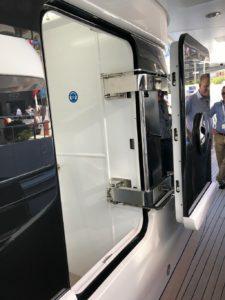 Newthex also delivered 10 watertight hinged doors for the ‘GO’.” he says. 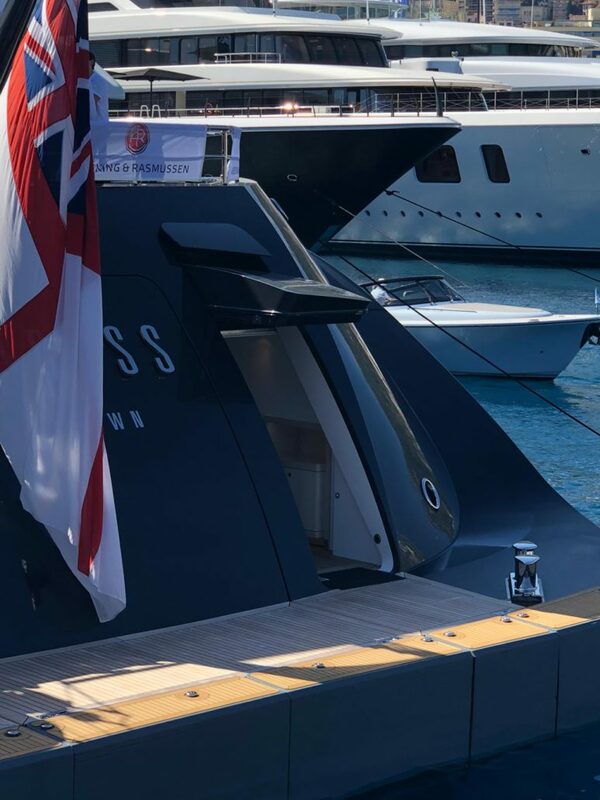 “We don’t always get to see so many vessels in one place with Newthex products, therefore the Monaco Boat Show is the perfect place for us to meet up with our clients and leads.” says Jan de Rover. 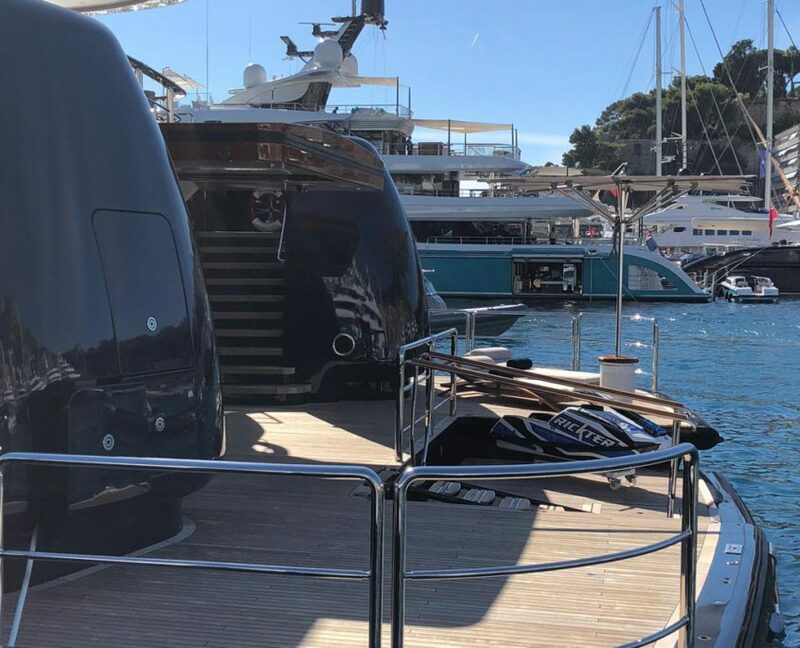 If you are not present at the Monaco Boat Show but you would like to meet-up with Newthex you can always schedule an appointment. 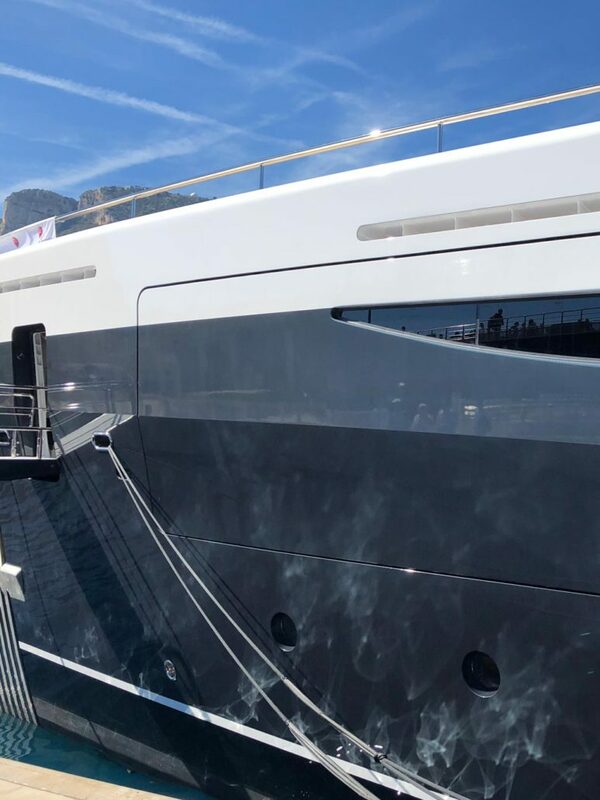 Please call us at +31 (0) 598 361 660 or send us an email at info@newthex.com.